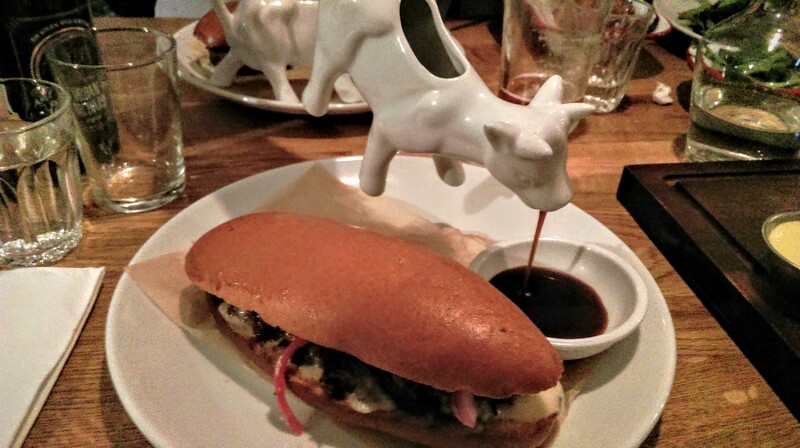 I hadn’t heard of Beef & Brew until our dining companions last weekend suggested it. It has only been open for a couple of months, which may explain the slightly slow service. But boy oh boy was the waiter good when he did come over. He was friendly, witty and knowledgeable, and each time he left us we got a hearty Irish “Tanking you koindly” as a parting greeting. 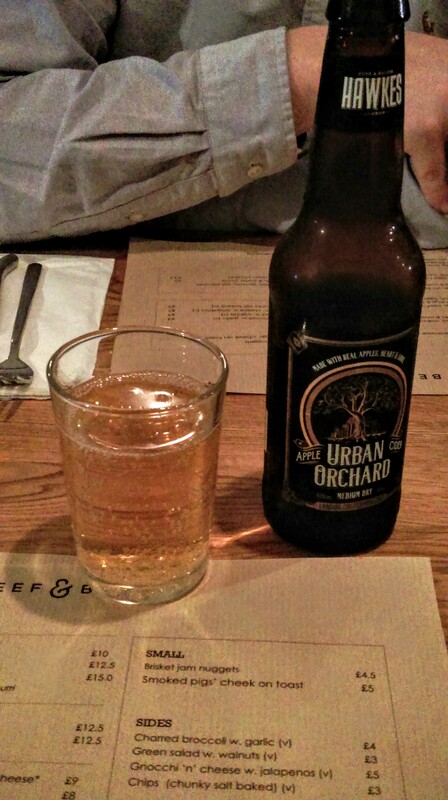 Whilst we pondered the menu I enjoyed an Urban Orchard apple cider which made me feel sprightly and youthful, but for real brew drinkers, the menu offers helpful guidance on food and brew pairings. Genius, just genius. We settled on, well, most things on the menu. The hanger steak was also an excellent choice. 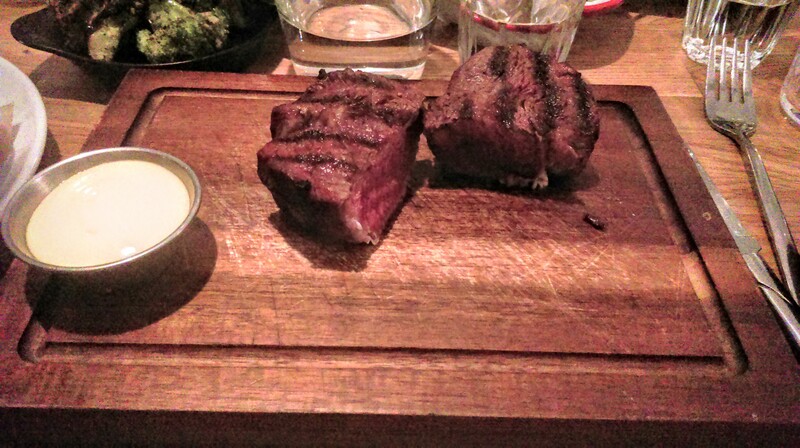 No frills, just meat on a wooden board. The sides were no less exciting or gratifying. Gnocchi and cheese (is this the successor to the Mac and cheese fad?) and chargrilled broccoli. Good to know they don’t discriminate against vegetarians. The ‘brewers mess’ was one of two puddings on offer, featuring a brownie, salted caramel and chocolate and porter sauce. If I’d known about all the cream involved I would have abstained but alas that part didn’t make it into the menu. I personally don’t believe in cream, and don’t think it’s worth the consequences. I felt a bit let down by the brewers mess, mostly because of lack of salted caramel and abundance of unwelcome cream. It’s what brought the above food rating from 10 down to 9. The atmosphere was trendy yet neighbourhoody. 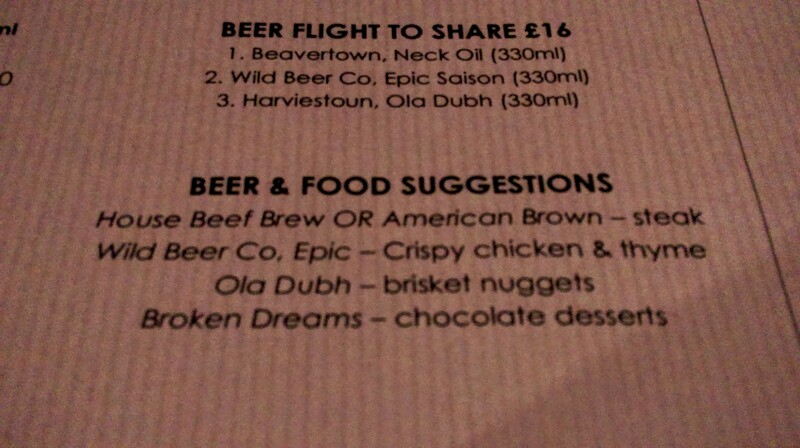 Dessert aside, I thoroughly enjoyed Beef & Brew.